You've probably already seen my nature observations logged with iNaturalist on this blog and my post about iNaturalist's Global Amphibian Blitz. Since I'm also logging Dutch wildlife, it's vital to get the relevant information to the organisations that log wildlife for scientific and conservational policy purposes. For that there are basically two points of loggin in The Netherlands: Telmee.nl and Waarneming.nl. 'Tel mee' means 'count along' in Dutch. It is a cooperation of private data processing organisations (PGO's) like the mammal society, butterfly foundation, society for mycology and the Dutch organisation for reptiles, amphibians and fish. Het vaststellen van welke planten en dieren op welke plekken in ons land voorkomen is van belang om de Nederlandse natuur goed te kunnen beschermen. Natuurwaarnemingen zijn pas goed bruikbaar als ze op de juiste manier worden vastgelegd. En als ze vervolgens ook nog op een centrale plek terecht komen, zodat er een compleet beeld van is. 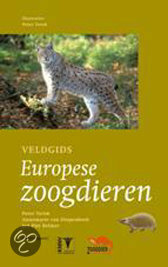 De bundelaars van al die natuurinformatie zijn de landelijke Particuliere Gegevensbeherende Organisaties (PGO's), samenwerkend in de koepelorganisatie VeldOnderzoek Flora en Fauna (VOFF). De tien PGO's hebben elk een groep planten of dieren waarvoor ze de waarnemingen in Nederland verzamelen en beheren. De PGO's die meewerken aan Telmee.nl zijn: ANEMOON (Flora en Fauna in de Nederlandse kustwateren), BLWG (mossen en korstmossen), EIS-NL (insecten en ongewervelden), FLORON (planten), NMV (paddenstoelen), RAVON (reptielen, amfibieën en vissen), SOVON Vogelonderzoek Nederland (vogels), TINEA (Kleine vlinders, microlepidoptera), De Vlinderstichting (vlinders en libellen) en de Zoogdiervereniging (zoogdieren). 'Waarneming' means 'observation'. It is the Dutch version of Observado.org. Similar in set up as Telmee.nl and works with the same PGO's. The observations are logged a bit differently and the data validation processes differ as well. In the end, all data ends up in the same spots: with the PGO's. Waarneming.nl also has a mobile site and a mobile app for Android in beta test. I'm just testing the app at the moment, so I can't give any feedback about it yet. If you want to know what I logged at Waarneming.nl so far, click on the binoculars icon in the left menu or go to my profile on Waarneming.nl. I'm just starting so only one observation so far. The good points about these sites are that you can determine whether your observations are public or not. You can also make your logged location vague for privacy purposes (similar to the option at iNaturalist. They both also have many fields to gather data. Where iNaturalist basically allows you to select a species and give a description, these two sites let's you select the life stage (egg, pupa, imago, adult), if the observation was alive, how many. Also the host plant (if applicable) can be logged, as well as the type of landscape into great detail; not just 'agricultural land', but 'agricultural land with willows on the side'. 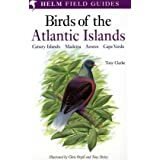 For classification and understanding where and in what context a certain animal or plant is in is very valuable information for conservation and migration of animals. Something lacking in iNaturalist. On the other hand. Entering information is quite tedious. I can do a batch import with iNaturalist. Import a bunch of photos from Flickr or Picasa. This means I don't have to double my work. What I do - and with me a lot of people - is organizing my photos, adding appropriate tags for the species, family, order, etc. As well as geolocation tags. All info in one photo or a series of photos on Flickr. Add a full description of context, location and circumstances in the description. I can easily share that photo with data to Encyclopedia of Life, ARKive and iNaturalist. iNaturalist takes over the description, the machine tags and normal tags for the family, order and species. I can select additional photos and I'm done. This is really quick. An import function would be welcome. It speeds up things, keeps data consistent and lowers the treshold for people sharing data. Furthermore, conservation comes with knowledge and awareness. I can 'like' my observation on iNaturalist, so it shows on Facebook. This means more people will see it, become aware, or even start logging their own observations. The page for an individual observation also is quite clean and accessible on iNaturalist. With Telmee.nl it is hard to make your observations publically visible. You really do it to support the counting organisations. With Waarneming.nl apparently it is a bit easier, but an observation does not have a single page. You can filter easily (something lacking in iNaturalist a bit), but then you just have to select parts of an observation to see details. No map, photos and data in one screen. That is a shortcoming to me. And also makes it impossible to share on a blog, Facebook, Twitter or other social media.